Your successful business begins with a perfect domain name. 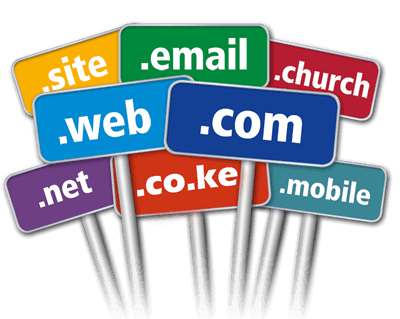 Registering a Kenyan domain name or global domain name with WebSoft Development is the first step to putting your business online. This means you can register domain names for your product names, business names, and brand names for all your local and global markets. We make domain name registration easy. Choosing a domain name is only the start. You'll need a website and email. WebSoft Development has a range of web hosting packages for small to large sites. If your preferred domain name is taken then search for an abbreviation, change the order of words around, add hyphens, or add your city, state, or country to come up with something unique. Click here for different options to Register Your Domain Now!